I recently attended what may be the best car show I’ve been to yet. 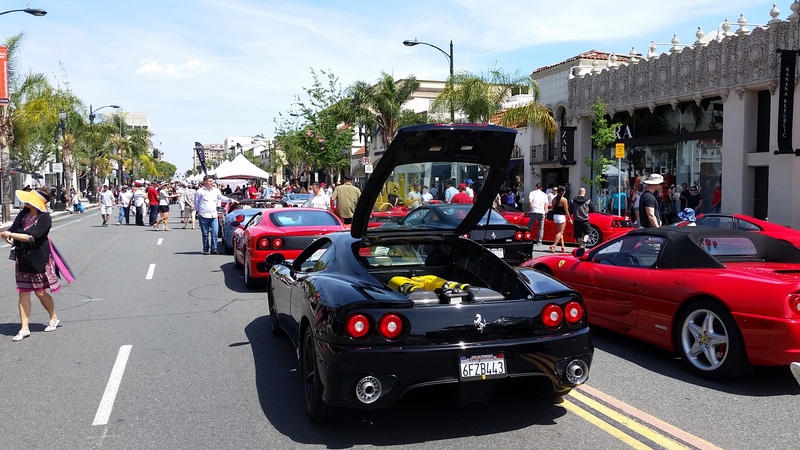 It was called Concorso Ferrari, and it was held in sunny Pasadena, California. 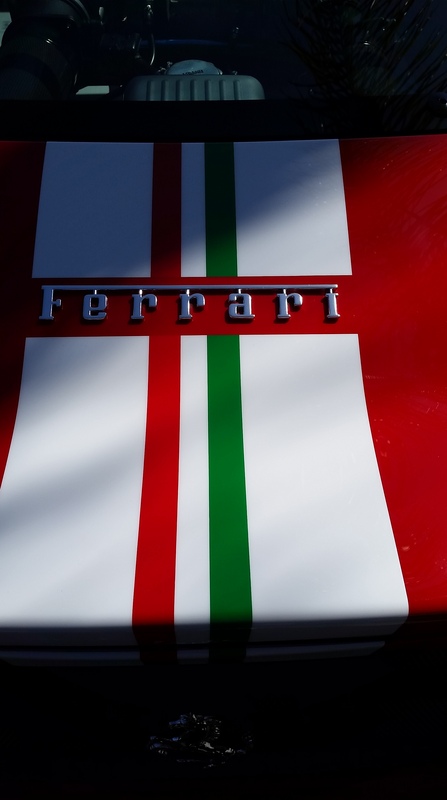 My uncle’s friend is a judge for Concorso Ferrari, and was kind enough to let me shadow him as he judged the Ferrari 360 Modena class. There were 160 cars in attendance, and my uncle’s friend and two other incredibly nice judges were there to judge eight cars. Some of the cars that I was able to watch being judged were beyond flawless, while two were daily drivers. The owners of the daily drivers were fine to tell the judges that. Their theory is that a Ferrari is meant to be driven, and it would be a waste of money to let it sit in the garage to only come out for shows. While 160 cars doesn’t sound like a lot, you have to remember that they took up three blocks, with cars parked at the curb and in the lanes. I’m not sure exactly how many people were in attendance, but it was well over three thousand. To say that it was crowded would be an understatement. If you told me to pick just one highlight from the show, I couldn’t. It was a truly amazing experience, and I urge you to come down to Pasadena next year to experience it for yourself. You probably won’t be invited to shadow a judge, but you’ll be able to see truly beautiful cars, meet nice people, and get expensive merchandise (the hat and mug I got cost around $80). Enjoy the pictures I took. This is my uncle’s friend’s 2008 Ferrari F430. It’s a deeper red than you’d see on a typical Ferrari, but it looks absolutely stunning. I hope this gives you some idea as to how large the event is. This was taken from the top end of the show, and I couldn’t even fit the rest of it into the frame! This car is the incredibly rare Ferrari Sergio. 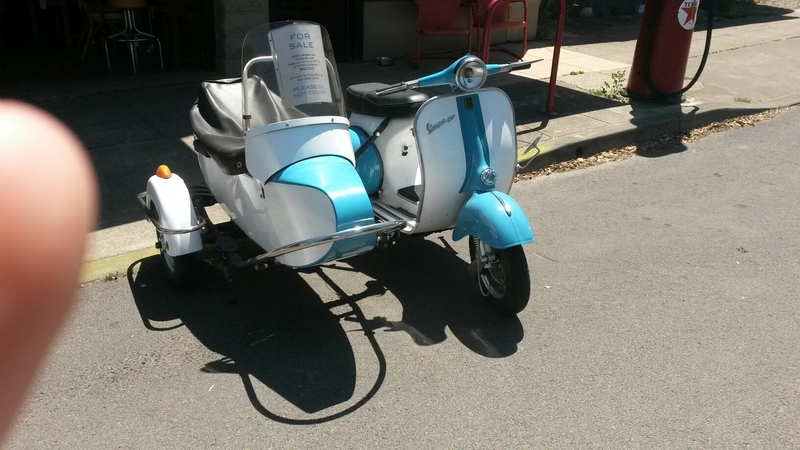 It’s named after Sergio Pininfarina, the man who led the legendary Italian design firm for 40 years. 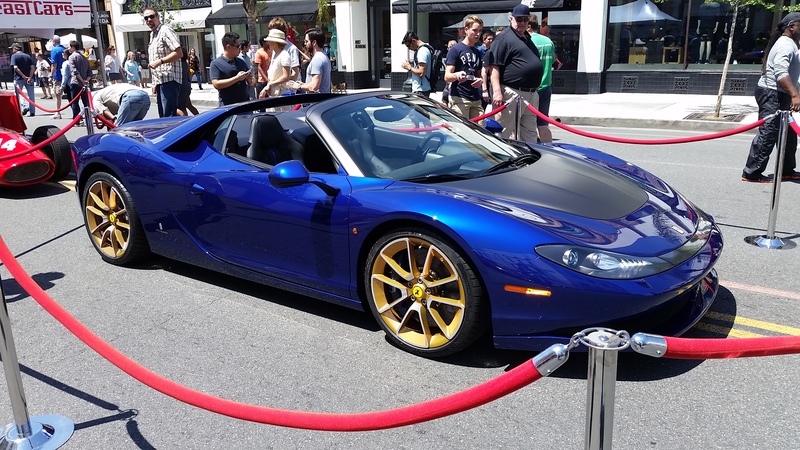 It’s a truly beautiful car, and it was apparently a mess when it came to Beverly Hills Ferrari. It supposedly needed a repaint. That can’t be cheap! I’m pretty sure that this is a recreation of a vintage Ferrari Formula 1 car, as cars from that era didn’t have coil-over shocks (not visible in this picture). Either way, it’s still cool. This was the only Ferrari F40 at the show, which surprised me. Anyways, the F40 was the last car that Enzo Ferrari had personal control over in development. It’s an incredible car, and I’ve always wanted one. Seeing one in person was an incredible experience that I will never forget. Hearing it fire up, and hearing that gurgling V-8 with the whistling turbochargers still sends shivers down my spine. Also, if you are on Facebook and haven’t already liked my blog, please do so! I’m really pushing to get more likes on the page(I will post pictures, you can comment, etc.). You can be part of a movement! 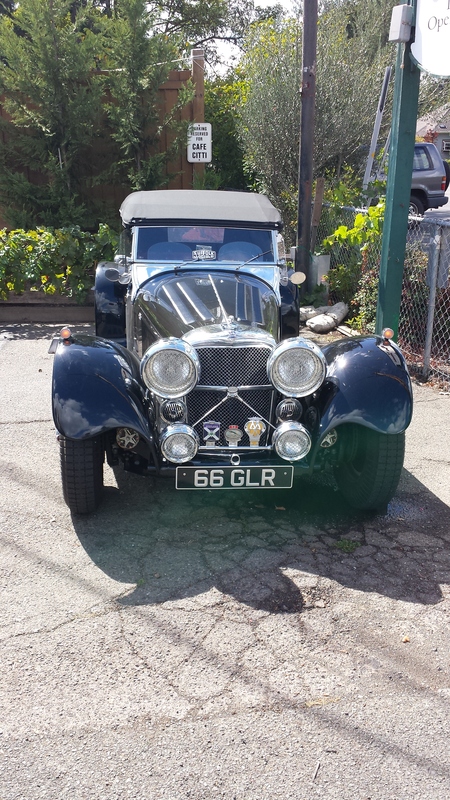 A little while ago, I saw this wonderful old Jaguar at a local restaurant that is a favorite amongst the Sonoma County locals. I just had to post this picture. I hope that you enjoy it as much as I did. This picture truly doesn’t do justice to the car…it’s beautiful. Not exactly fast, but it’s not meant for outright speed. It’s meant to put a big smile on your face, whether you are driving it or just looking at it. A member of the editing staff saw what is quite possibly the most ugly BMW ever while out on assignment…for something completely unrelated to ugly BMWs. The ugly BMW in question? 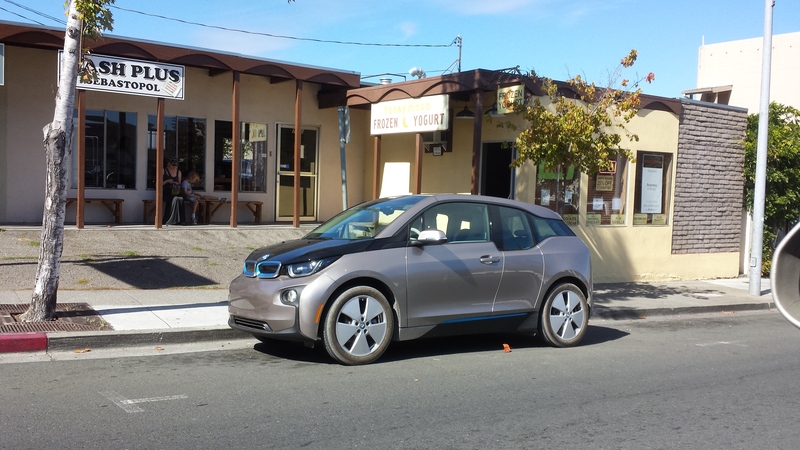 The BMW i3. It’s essentially a Prius for the visually impaired wealthy. 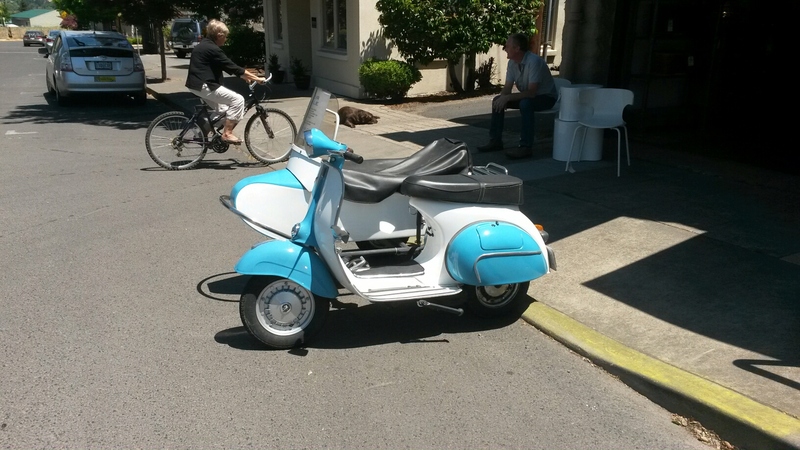 Out and About in Sonoma County and Oregon! It’s been a while since I published an Out and About in Sonoma County. However, that’s because I got some great pictures from Oregon AND Sonoma County! I hope you enjoy them! I will provide commentary on ALL of the cars – basically fun facts on them! I also got some pictures from Mother’s Day Weekend up in Redding, CA. Those are included as well. This is my 300th post, so next week, I am doing a giveaway of a Roadkill hat! Every reader or subscriber MUST leave a comment saying that they wish to be entered in the giveaway. Remember, leave a comment to get a chance to win! 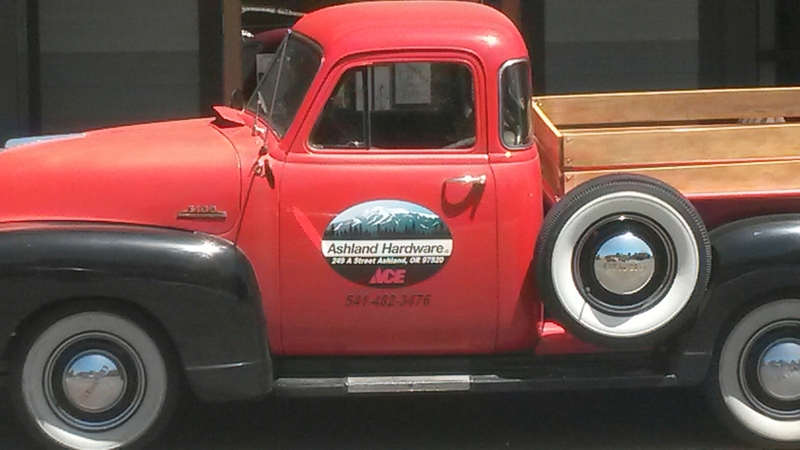 The Ashland, Oregon ACE hardware store has this simply stunning 1950-52? Chevrolet 3100. It’s absolutely stunning. The thing popping up right in front of the windshield is for the air conditioner. It’s like the air grabber hoods on the hi-performance 1960’s Mopars – it pulls air in when the switch is flipped on. I’m simply in love with the Harley-Davidson themed paint! 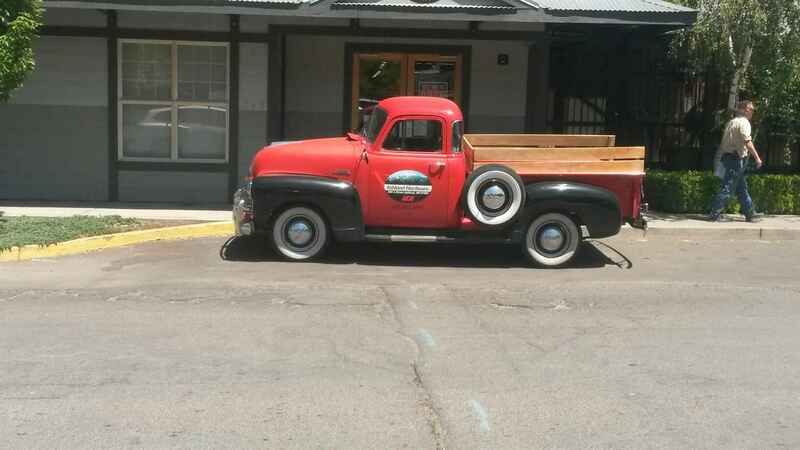 It really helps accentuate the beautiful lines on these old trucks. 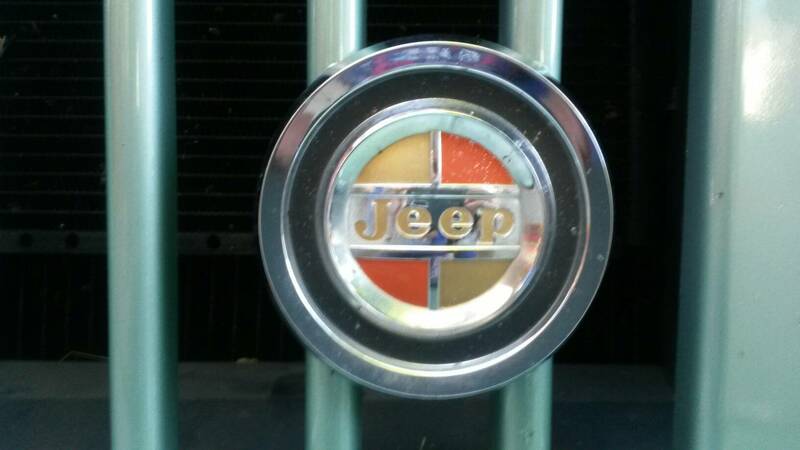 This is probably the best Jeep badge that the world has ever seen. It may be a direct BMW rip-off, but whatever! 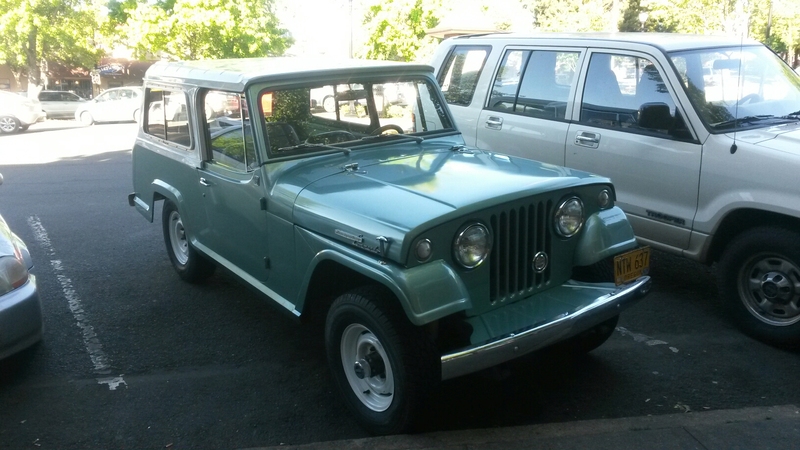 This simply amazing Jeep Jeepster Commando was probably the nicest Jeep that I have ever seen – I don’t care if it’s 2WD or not! How’s this for cool? 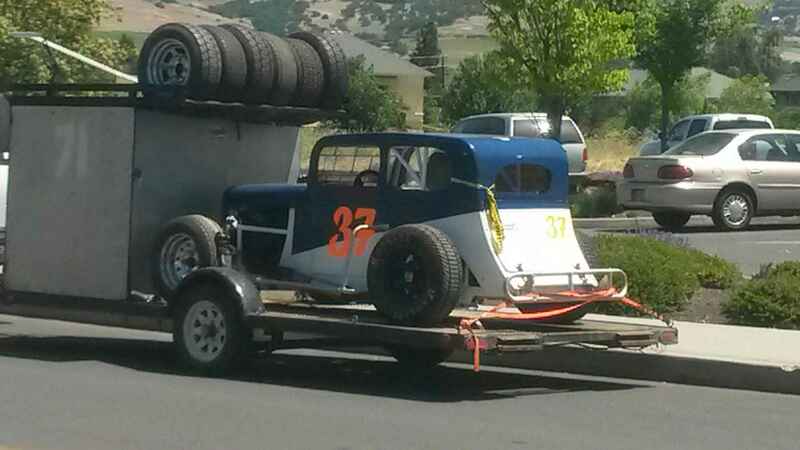 I’ve never really seen a ’32 Ford dirt track racer before, so this was a cool first for me! I wasn’t able to get closer to it, otherwise I would have done a separate blog post on it! It was a very cool ’32 Ford, though! How’d you like this to be in your rearview mirror? Sorry if I just gave you nightmares…This 1971 Dodge Charger R/T is equipped with the 426 HEMI. It doesn’t get much better than that! Man, this is just one of THE best engines in the world! Let me tell you a funny story about this car and another car. Somebody in a 1949 Chevy lowrider tried to do a burnout. All he did was send a bunch of smoke out of his tailpipes. 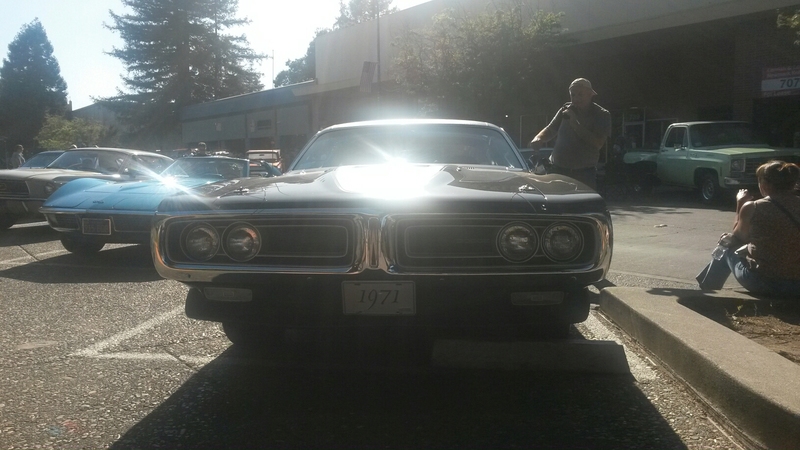 The owner of this fine triple-black ’71 Charger proceeded to do a burnout without really having to try too terribly hard right through an empty intersection! If this doesn’t make you drool, then I don’t know what will! 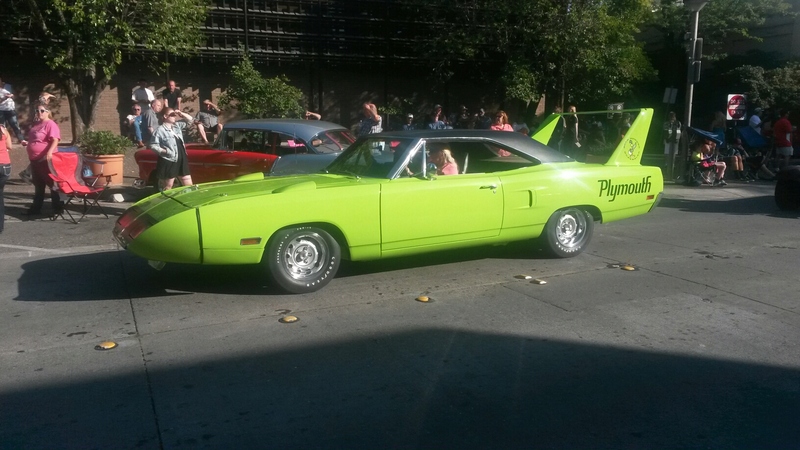 This stunning 1970 Plymouth Superbird was SOOOOO cool! It was in the Limelight Green color, along with the Super Commando 440 cubic-inch V8. More to come on this iconic car. 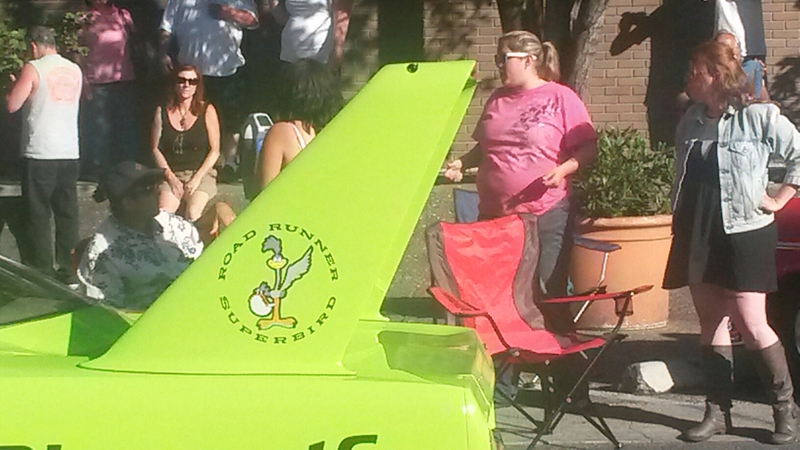 Yes, the Superbird really does make the iconic “meep-meep” from Looney Tunes – as does the Plymouth Roadrunner that the Superbird is based off of! How’s this for nice? 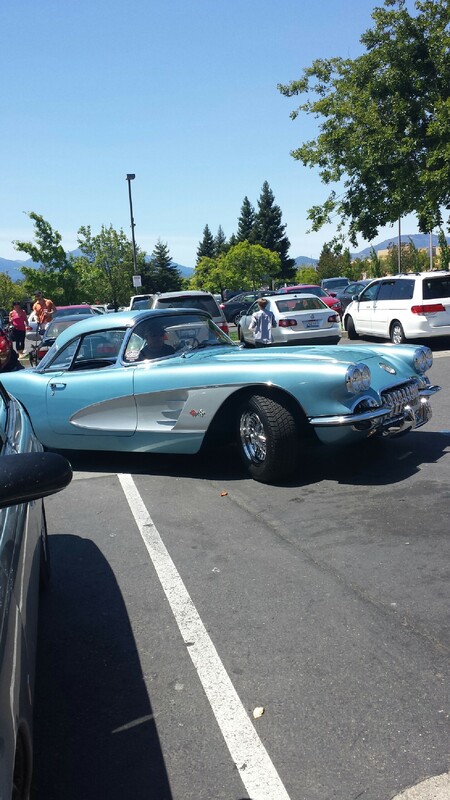 This is probably one of THE nicest Corvettes that i have ever seen! It was all-original, so it has the punchy 283 cubic-inch V8 and a four-speed manual. Plus, it’s got absolutely amazing looks. The only thing that isn’t original is the wheels, but they went perfectly with the car. This would be an excellent car for touring the country with. 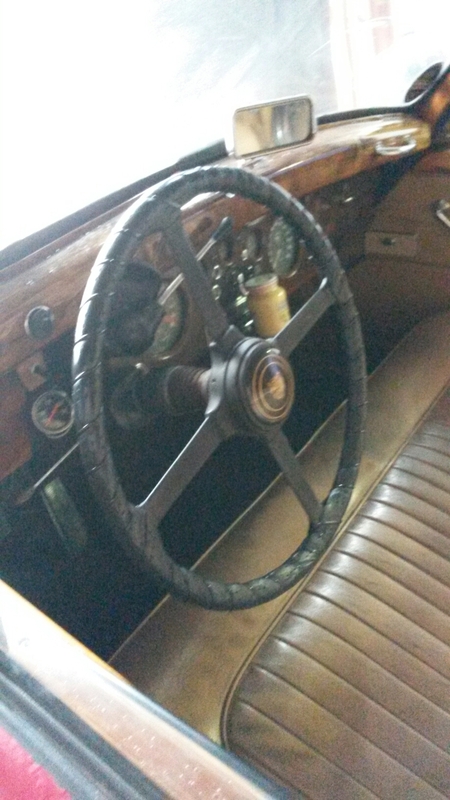 One of these days I will do that in a classic car – I promise! The story behind how the car ended up being in Michael’s hands is an interesting story itself. During Ike and Tina Turner’s long divorce, Ike parked the Jag on blocks in a back lot of Paramount Pictures for somewhere around 17 years. 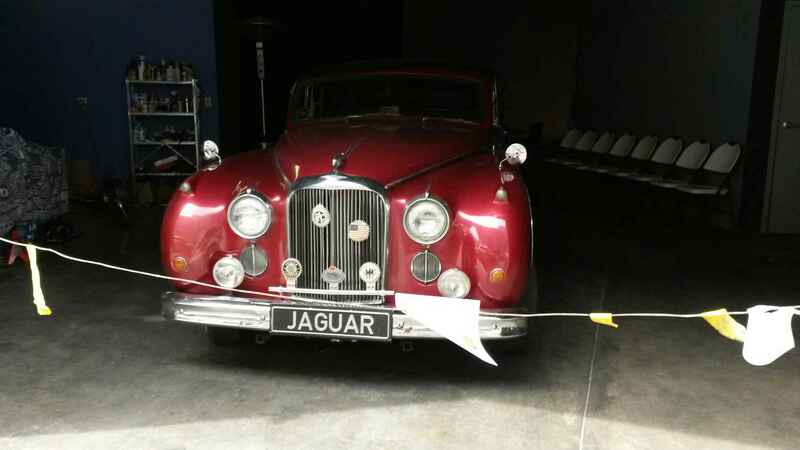 One day when Mike was walking in the back lot, he saw the Jag, was absolutely smitten, and made an offer on the spot. It was accepted. He then proceeded to, as he put it, “I stood on my head for about an hour with the guy from Paramount just trying to figure out what kind of engine was in it. Eventually, I saw a label that said ‘Chevrolet 350 C.I. V8. '” That means that the engine is a Chevrolet 350 cubic-inch small-block V8. The Chevy 350 V8 is a popular choice for engine swaps in Jaguars. It requires very little work to install, it has decent power stock (a LOT when it’s tuned), and it’s an extremely reliable engine. That can’t be said about any Jaguar engine. Just ask my uncle or grandmother. As a whole, a 1960 Jaguar is a pretty sturdy car. It’s made all out of steel (the only aluminum is inside), it’s got glass that could probably stop a bullet, and the tire treads wouldn’t look out of place on something destined to go off-road. After Mike had owned the car for a couple of months, he decided to take it out for a spin on the freeway. When he got up to 55 mph, the engine was screaming at something close to 5,000 RPM, and he was playing tag with a bunch of tractor-trailers and grandparents. Not exactly my (or his) definition of fun. He got off of the freeway and went to the local transmission shop and had them install an overdrive. Now, the RPM’s are cut down to 2,500 RPM (most modern cars turn 1,800-2,000 RPM’s on the highway), and he can go up to 70 mph without worrying about killing the engine. The overdrive, Chevy small-block V8 and Turbo 350 transmission are the only parts that didn’t come with the car. That is, other than the tires! Speaking of tires, the tires are modern Coker radial tires with big, tall whitewalls on them. If whitewalls are put on the right car, they can turn a show-stopper into a car that will literally make people’s heads turn right off their neck! That’s what my dad’s business partner did with this Jaguar. The whitewalls make this classic Jaguar look better than it did when it rolled off of the Jaguar assembly line in Coventry, England, in 1960. Not many cars can pull that off. Plus, the engine, transmission, and overdrive give a car that wasn’t really driveable before the engine/transmission swap driveability. In terms of driveability, Mike says that it drives like a wallowy, new car. It’s got suspension technology from 1960, so it’s not the best choice to throw around a road course. With the stock engine and transmission sans overdrive unit, the Jaguar MK9 isn’t easy to drive unless you toodle around town. The stock engine was designed for people to take a slow, scenic drive of the British countryside, not for freeway cruising. Bring a car like that to America where there are vast expanses of freeways, and you’re essentially got a death wish. Mike essentially said the same. The stock three-speed manual has a stiff clutch, according to Mike, and three short speeds aren’t going to do you any favors when you’re cruising. The Turbo 350 transmission greatly improves the driveability factor. The Jag doesn’t have power steering, but it tips the scales at about 3,400 pounds, so you’re really not having to put THAT much effort into turning it. It does, however, have power brakes, so that does make it easier to stop it, even though there was no such thing as ABS back then. With the Chevy engine and transmission, plus the overdrive unit, Mike could easily drive across the state of California if he so wished. 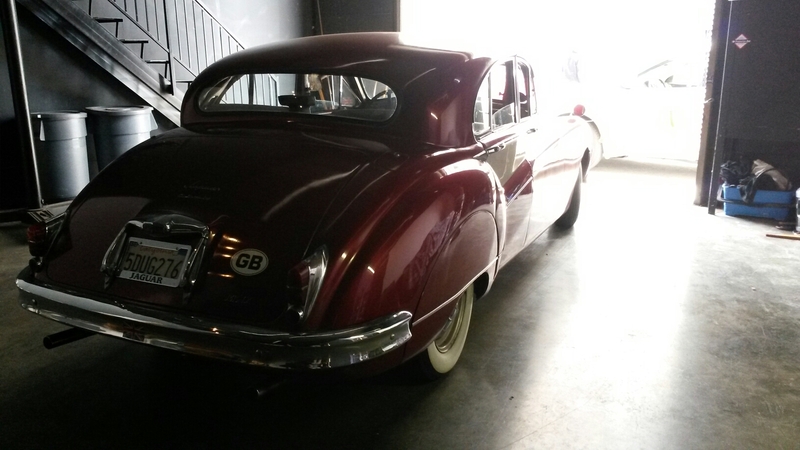 His Jaguar doesn’t have thousands of man-hours put into restoring it to #1+ condition. It doesn’t have ABS, cruise control, or satellite radio like most modern cars. It’s a survivor car. Trust me, the Jag is perfectly fine that way. It’s got absolutely gorgeous looks before the paint, which accentuates the car’s looks even more. It has beautiful walnut wood varnished to an almost matte look. It doesn’t need to have hundreds of thousands of dollars to get best-of-show at every car show. These old Jaguars have a certain charm to them that very few other cars, classic or modern, can duplicate. They’re not absolutely cute like a Austin-Healey Bugeye Sprite nor do they look like they were hewn from a block of stone like a 1967 Chevrolet Camaro. They have an understated elegance to them, plus that cute British charm. With the right paint colors on them, like gold and maroon, they can be quite a looker. I’ve attached some photos of the Jag for you to literally drool over. As I’ve previously said, it’s one of the most beautiful cars that I’ve ever seen. It really looks stunning, especially with some light, but not too much. I’ve never seen it at sunrise or sunset, but I can only imagine how beautiful it is at those times. 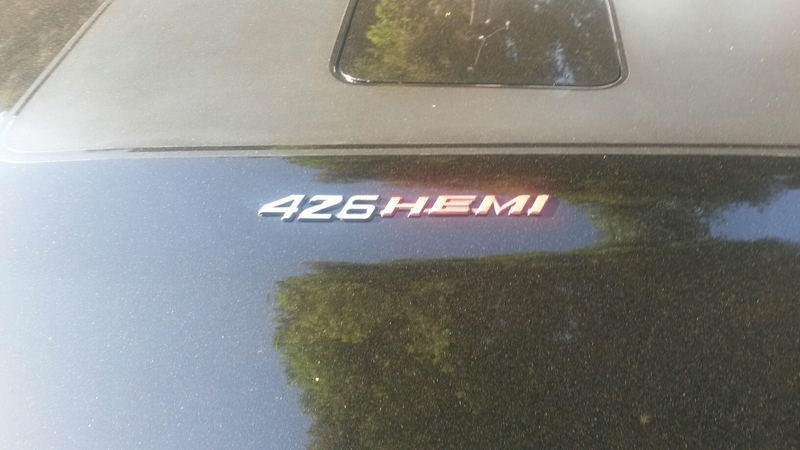 Badges are awesome – just ask this car! Sorry about the view – it was the best that I could get! Editor’s note: Mike actually played with Chubby Checker, NOT Chuck Berry! My apologies! After a successful surgery and a minor hiccup, I am back on the road to recovery! This means that I will start publishing every Tuesday and Friday! This should make everybody happy, right? I know that it makes me happy! I’ve got plenty of captivating and funny posts just itching to be published. While on the road to get to the hospital with my parents, I spotted something most people won’t see…ever. No, it wasn’t a Pagani Huayra (I wish!). 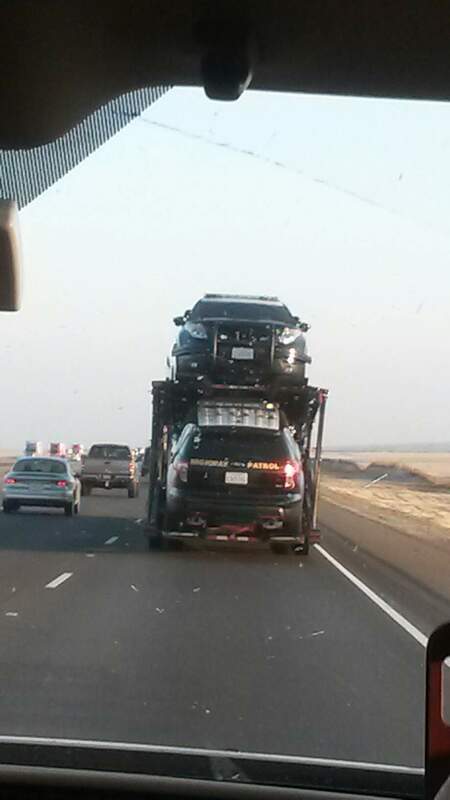 It was a car transporter carrying 12 brand-new Ford Interceptor Utilities destined for, you guessed it, the California Highway Patrol! It was one of the most amazing, cool things I’ve ever seen! I just needed to share the pictures I took with you! I hope that you enjoy them! 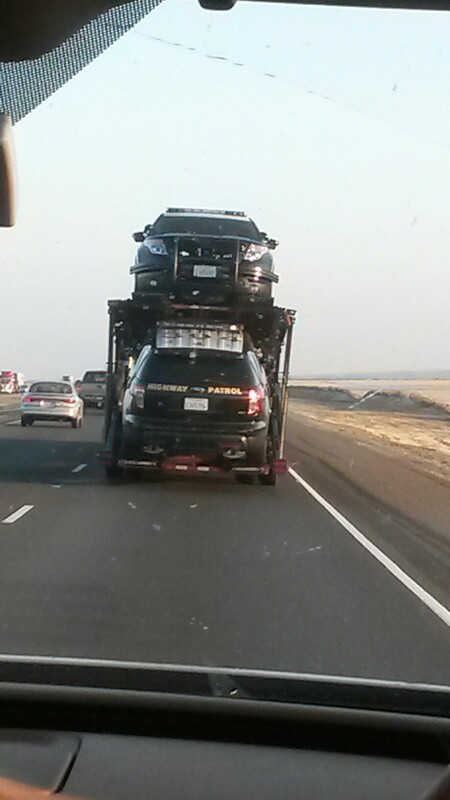 These are just two of the twelve 2014 Ford Interceptor Utilities on this car transporter! All of the Interceptor Utilities were destined for the CHP! I will give you some information on the Ford Interceptor Utility. It’s a pretty cool vehicle. The Ford Interceptor Utility is based off of the Ford Explorer SUV, but that’s about where the similarities end. The Ford Interceptor Utility comes standard with FWD, but sales show that an overwhelming majority of buyers buy the Interceptor Utility with AWD. The standard engine is the 3.7-liter, 305 horsepower V6 from the Mustang. The Explorer is a porky vehicle, but with the high-revving, powerful V6 from the Mustang, the Interceptor is no slouch. 60 mph comes up in 6.4 seconds, while 100 mph comes up in 14 seconds. That’s with the Interceptor Utility loaded with all of the gear required by the CHP! A six-speed automatic is the only transmission available. The other engine option for the Interceptor Utility is a 2.0-liter four cylinder turbocharged EcoBoost engine making 240 horsepower and 270 lb-ft of torque. This engine has seen service in everything from the Taurus to the civilian Explorer to the Focus ST to the Escape. It’s a durable engine that feels like a V6, and it gets decent mpg in the nearly-5,000 pound Explorer. This engine was also named one of Ward’s Ten Best Engines for 2013. That’s a pretty lofty achievement for Ford. The other engine, the sweet spot in my mind, is the 3.5 liter, twin turbo EcoBoost engine borrowed from the F-150. This is one powerful engine, and it’s been proven to be barrels of fun. It sees service in everything from the Flex to the Taurus to the F-150 to the Explorer. It propels the portly Interceptor Utility to 60 mph in a scant 5.7 seconds. It’s the most popular engine with the CHP, Texas State Patrol, and the Michigan State Patrol. Don’t forget what the Crown Victoria’s headlights look like. The CHP bought 329 in 2011 before it’s production ended, and they will likely be in service until at least 2016. I hope that you laughed yourselves silly over Roadkill. Let me know what your favorite episode of Roadkill was!